Tea party-backed candidates from coast to coast were swept into office in November by a frustrated electorate demanding more limited government and delivering a resounding repudiation of President Barack Obama's agenda. 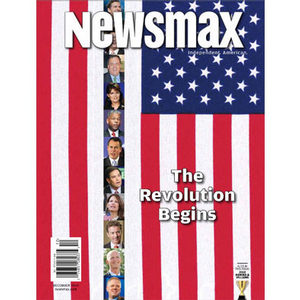 Newsmax magazine's special report "The Revolution Begins" explores the phenomenon that has progressed from a ragtag protest movement 18 months ago to a political juggernaut that has shaken American politics to the core. What began as a simmer ended as a full boil. Now the tea party must find a way to translate electoral success into effective governance. 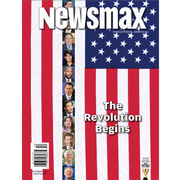 This issue of Newsmax magazine also contains our "2010 Heroes & Villains" feature. The heroes are those Americans who represent the best examples of philanthropy, charity, military service, business excellence, public safety, government leadership, and community service. The villains comprise a rogues' gallery whose members range from Mahmoud Ahmadinejad and Kim Jong Il to BP's Tony Hayward and even high-fructose corn syrup. The compromise that could make the tea party movement "superfluous"
Steve Jobs and the "year of the Apple"
Ben Stein: The joys of traveling in the U.S.
Economy making women "reluctant breadwinners"
Andrea Tantaros: Why are we in Afghanistan?